I always like to give everyone a little gift at my team Christmas Party. 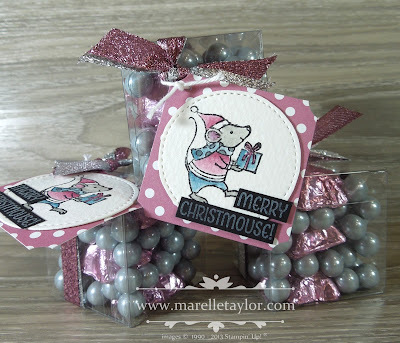 This is what I made this year...a little box of chocolates with a matching mousie tag for all my Anony-mouses. I found some chocolates to match the sparkly glitter ribbon....all crafters know that co-ordination is equally, if not more, important than taste!